As LA Unified and its teachers union enter into mediation this week and the union prepares for a strike, their differences over how teachers are evaluated could be harder to resolve than how much pay raises will be. 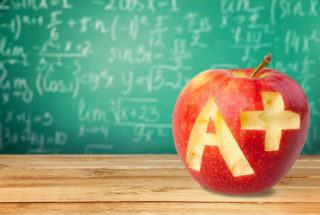 The district wants to add a new category of teacher ratings, called highly effective, as part of its strategy to raise student achievement, attract and retain good teachers, and keep families in the district. The union has steadfastly opposed identifying top performers or paying those teachers more, and it wants the district to replace the current teacher evaluation system, which has three tiers of ratings, with one that was created more than two decades ago and does not include ratings. The two sides “fundamentally disagree” on this issue, the district says. “You continue to reject any effort to recognize highly effective teachers,” it stated in its response to the final offer of United Teachers Los Angeles. The new superintendent, school board members, and parent and advocacy groups have all focused on teacher quality in the weeks running up to mediation. “An ineffective teacher can cause students to lose more than a year of learning, which is setting students up for failure,” Superintendent Austin Beutner said this month in his first major policy speech, calling for a high-quality teacher in every classroom and a more efficient way of moving ineffective teachers out. UTLA maintains that teacher evaluations are a distraction during this year’s contract negotiations. As one union officer told LAist after Beutner’s speech last week, addressing “ineffective teachers” is “a policy narrative that has come and went.” UTLA did not respond to requests for comment for this article. The district is prepared to match the salary increases it recently approved for its other labor unions, but it wants to move the needle on teacher quality as it strives to improve student achievement. “I think given what we are prepared to offer in terms of compensation, similar to other units, around 6 percent, it would be fair to get something in return,” Nick Melvoin, vice president of the LA Unified school board, said in an interview Thursday. But would the disagreement over adding a top category for teacher evaluations “be the reason we would walk away from negotiations? Probably not, because we believe we can settle and it’s important to keep schools open,” Melvoin said. There has been little change in at least a decade in how the district assesses its teachers, though in 2015-16 it added a third category, exceeds standards, to two pre-existing rankings: meeting standards or below standards. Without a third category, the district could have lost federal funding. Three years ago, during the last contract negotiations, then-Superintendent John Deasy tried to add a category for highly effective teachers. UTLA argued that Deasy was trying to lay the groundwork for merit-based pay and took the issue to the state labor board. A judge ruled in the union’s favor. The district currently uses the LAUSD Teaching and Learning Framework, which has 61 elements, to assess teachers. UTLA wants the district to use the California Standards for the Teaching Profession, which doesn’t have teacher rating categories. Board member Kelly Gonez, who was a teacher, said Monday that “we could better differentiate and add a fourth tier,” but she was concerned about the tone of some of the discussions around teacher quality. “I think it’s important to talk about teacher evaluation. It’s a critical tool for growth,” Gonez said. “I think we know, unfortunately, that there are large gaps in opportunities and in achievement across our district. And so one of the things that we think might be a great way to help improve our struggling schools is making sure that we have high-quality teachers in every classroom,” as well as making sure “we’re supporting them so they stay in the classroom, that we help them develop so they reach their full potential, and that we’re retaining them. “But it’s also about making sure that teachers see the value in the system, and they have to find it useful in order for that to make an impact in their classrooms. It has to be a fair process, it has to be authentic, and it has to be focused on student outcomes, rather than indicating that we are looking for bad teachers. Because I think the vast majority of our teachers are working really hard to support our students. School board members discussed teacher quality at their meeting last week and were briefed on how teachers are hired and fired. Only the first part of what was supposed to be a four-hour examination of the topic was delivered, with the rest put off until a later date. It takes three years to fire an ineffective teacher. 96 percent of teachers met standards last year, with 22 percent exceeding standards. 4 percent of teachers were below standards. About a third of the district’s roughly 25,000 K-12 teachers are evaluated each year. 400 teachers have not been evaluated for at least five years. In the last five years, the number of teachers deemed to have “below standard performance” has risen slightly but remains mostly unchanged — roughly 4 percent. Last year, 295 of the district’s 7,623 teachers, or just under 4 percent, were rated below standard, slightly more than the 242 teachers who received that rating in the 2013-14 school year. By contrast, 22 percent — 1,696 teachers — exceeded standards last year. One reason for the stagnant number of teachers in the “below standard” rating could be that only about a third of educators are evaluated every year at LA Unified, which is similar to nationwide trends, officials said Tuesday. But in LA Unified, principals and teachers can decide to extend the period between evaluations to five years. The district interviews about 5,000 teacher candidates each year and has had to hire about 2,700 a year, in part because it’s losing about 1,500 a year. In 2015-16, the district hired 2,545 teachers, and 1,586 left. After the presentation, Melvoin asked if the list of the 400 teachers who have not been evaluated for at least five years could be made available to parents, but he was told there is no place for that information to be released. Parents cannot view or weigh in on teacher evaluations, or even see how often educators at their school are rated. District officials acknowledged that in private industry, most employees are evaluated annually. They said principals have been sent a list of teachers who must be evaluated this year, including those who are untenured, those who were disciplined last year, and those who have not been evaluated for five years. Vladovic questioned whether the current evaluation system was actually making things better. If the district’s average evaluation rate is low compared to the private workforce, it’s even lower at the 44 LA Unified schools with the worst test scores. At the district’s lowest-performing schools, more than two-thirds of teachers were not evaluated last year, according to Parent Revolution, a nonprofit advocacy organization that in June released an analysis of three years of teacher evaluation data at LA Unified. Only one of those 44 schools evaluated more than half their teachers, and only 17 teachers were rated below standards. From 2014 to 2017, 23 of the schools gave every teacher who was evaluated a satisfactory rating, even though the schools had the lowest test scores in the district. After Parent Revolution released the data, Melvoin called for more regular evaluations of teachers. At Tuesday’s school board meeting, Melvoin asked if there was a way to incentivize teachers to teach in the highest-needs schools. Ekchian said the contract doesn’t prohibit it and that the district can offer $3,000 for a teacher to go to a high-need school, another $3,000 if he or she stays there for five years, and $5,000 if the teacher earns a master’s degree. Melvoin also asked about the requirement that teachers be hired first from a “must-place” list. Last year, the “must-place” teachers, who have been displaced from their schools but not rehired at another school, cost the district about $15 million, and an independent review panel has urged LA Unified to end the pool. In June, the board unanimously passed a resolution that exempts the principals of the lowest-performing schools from having to hire off the must-place list, and officials reported Tuesday that those schools are now taking advantage of that freedom. But at Tuesday’s board meeting Ekchian raised the question of cost. When schools hire teachers who aren’t already on the payroll, the district would have to cut other things to be able to afford it, she said. A 2011 survey found that “the majority of principals in LAUSD were rarely or never satisfied with the teachers they were forced to hire from the must-place list,” said Kency Nittler, manager for teacher trends at the National Council on Teacher Quality, a research and policy group. Its survey found that 3 in 4 principals said they were unable to hire their teacher of choice because they needed to hire from the must-place list and that those teachers were rarely, if ever, a good fit for their school. The parent advocacy organization Speak UP has been organizing a series of collaborative meetings between LA Unified parents and teachers to discuss ways to create a contract that both values teachers and puts kids first. There was broad consensus in the group that teachers should be evaluated and given productive feedback more frequently, that stakeholder feedback and student growth should be a part of evaluations, and that teachers should be rewarded for excellent performance. The group has been discussing its findings with district officials ahead of mediation. “Parents and teachers agree that more frequent and meaningful evaluation benefits both teachers and kids,” Lisa Stevens, a teacher at Sotomayor Center for Arts and Sciences who facilitated the meetings, wrote in an email. “We also agree that teachers who are doing a great job should be able to move up the pay scale more quickly without having to take so many classes that may not have anything to do with the subjects we teach. Overall, we found it constructive to hear each other’s perspectives, and we’re encouraged that parents and teachers can work together, have a productive dialogue and find so much common ground,” Stevens said.